The second-largest city in Tajikistan, Khujand (also called Khojand or Xojand), lays along the Sir-Darya river and is the industrial and cultural center of the northern region of the country. Khujand enjoys a mild climate and ideal location in the Fergana Valley, which is known as "the pearl of Central Asia." Green, mountainous landscapes characterize the city, which offers parks and public gardens, historical and cultural memorials, as well as plentiful crops yielding grapes and other fruits. In addition to verdant land, Khujand offers rich history, as it was the home to great civilizations. This was as a well-traveled entrance to Ferghana Valley along the Silk Road. The city enjoyed tremendous economic prosperity in ancient times, as evidenced by sprawling palaces, grand mosques, and a citadel, all of which were destroyed by the Mongols in the early 13th Century. Today, Khujand is a large industrial and culture center. 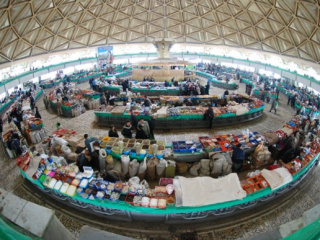 The well-known Panchshanbe Market was once one of the largest markets in Central Asia. 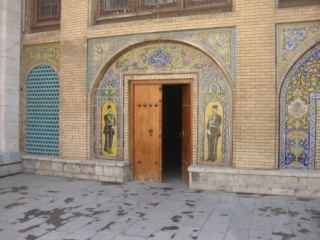 An architecture complex nearby is home to a mosque and the remains of a mausoleum of Muslikhiddin Sheikh. Another big draw for visitors is a recreated 7th-Century fortress and Archeology Museum.